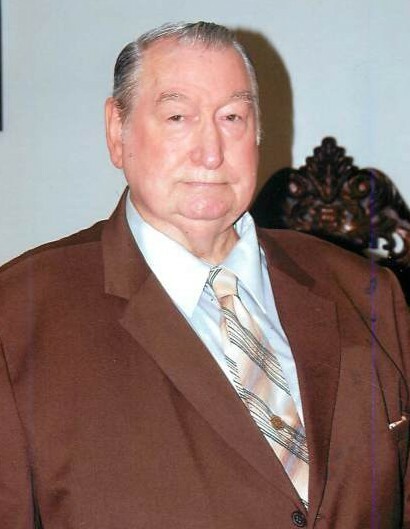 Alvin Mitchell Adams, 82, of Phenix City, AL went to heaven surrounded by his family on Wednesday, March 27, 2019 at his residence. A celebration of his life will be held on Monday April 01, 2019 at 2:00 PM EST in Philadelphia Baptist Church with Rev. Skip Speed officiating according to Vance Brooks Funeral Home, Phenix City. Interment will follow in the church cemetery with Masonic Rites. The family will receive friends one hour prior to the service at the church. Mr. Adams was born May 04, 1936 in Phenix City, AL son of the late Alvin Conley “Buster” Adams and Dora Marie Pace Adams. He was a long-time member of Philadelphia Baptist Church and a 32nd degree Mason, Crawford Lodge # 832 and a Shriner. Mr. Adams was also a past Worshipful Master of the Lodge. Mr. Adams was a sheet metal worker by trade, former Fire Chief and Board Member of the Ladonia Fire Department and trusted and often sought after Pyrotechnician. “He was always busy doing something for someone”. Mr. Adams was also preceded in death by his son, Jason Adams, a brother, Gene Adams and daughter-in-law, Lisa Adams. Survivors include his wife of 60 years, Jacqueline Boneberg Adams, Phenix City, AL; two children, Catherine Barclift and Mitch Adams both of Phenix City; two siblings, Gaynell Jeanine Casarona (Sal), NJ and Bennie Adams, (Linda), Phenix City; sister-in-law, Rosemaire Allen, Phenix City; four grandchildren, Heath, Sebrina (Jr.), Holley (Phillip) and David; four great- grandsons and four great-granddaughters; numerous nieces, nephews and friends locally and abroad.